Happy New Year of peace, joy, and love! The National Association of American Veterans (NAAV) is stepping into a new year of renewed hope and honor to our American Veterans and their family members. 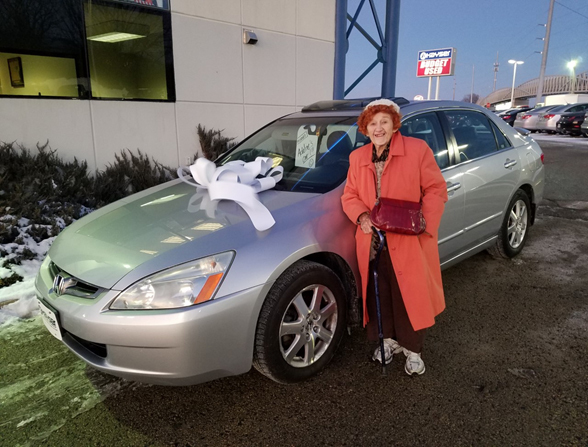 Kicking off the New Year 2018, NAAV proudly took part in the presentation of a new car for a much needed female WWII veteran residing in Wisconsin. Kayser “Ford” Automotive presented the car to Mrs. Adeline Bouchard on January 17, 2018. Below is a message translated by NAAV from a video recorded voice message left by Mrs. Bouchard after receiving her new car. 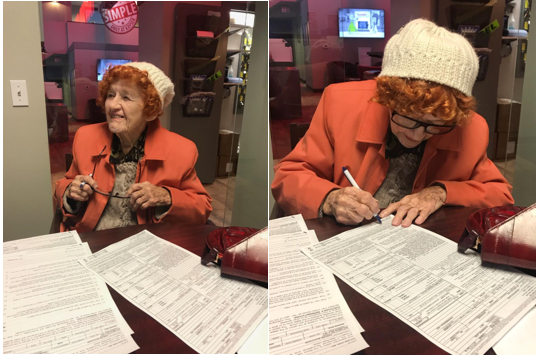 The funds and proceeds towards the purchase of the new car was made possible by NAAV CEO and President, Constance Burns in conjunction with Mr. Daniel Goodman, President of Special Kid Fund, Inc., and Magic Mobility based in New Jersey. This partnership was a major blessing in fulfilling a necessary need. So often those who have an abundance of equipment, devices, and abilities at time consciously or sub-consciously take these things for granted and just assume they will be there—working and operable—for us when we need them. But for others, some of those simple things we take for granted do not come so easily. However, when the hand of God extends and sets down a gift it’s like a shooting star lighting up the night sky for a lost and weary traveler. What a difference this car has made. Those of us who have such material goods at our disposal should never cease to give thanks. NAAV appreciates all of you have been a part of the gifts of giving thus far this year! Relief comes in the form of an easy lift! 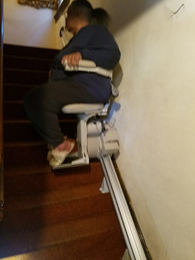 NAAV reports more great news concerning a new electronic Bruno Stairlift chair was installed in the home of Ms. Alva Brown of East Orange, New Jersey. This stairlift and new recliner chair changed the function of what Mrs. Bryan has been able to do and enhanced how she is now able to get around. This chair not only serves in giving Mrs. Bryan a weightless lift up the stairs, but it has also given her a lifted release in life. It has taken a load off some of her chores and eased some of the pain that climbing stairs used to cause. NAAV participated in the 24th Annual Winterhaven Homeless Stand Down on Saturday, January 27, 2018, along with various other agencies and vendors including HUD and a special guest participation from the Secretary of VA.
Pictured above: “Honorable Pamela H .Patenaude, HUD, including the Honorable David J. Shulkin, Secretary of Veterans Affairs (VA), The American Legion Executive Director Verna Jones, and Marvin Turner, Director of the HUD District of Columbia Office/National Capital Area Office.” Second photo shows NAAV, CEO and president assisting a veteran with claims and benefits. features. Grateful, through the generosity of donations totaling over $8,000, during January and February, NAAV was able to provide for seven (7), and award five (5) veterans with equipment, resources and assistance. 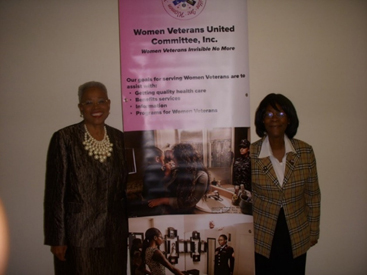 NAAV President and Chief Executive Officer Constance A. Burns attended the 4th Annual Women Veteran United Committee, Inc. (WVUCI) on February 7, 2018, held at the Rayburn House Office Building in Washington, DC, owing to the support of women Veterans nationwide. Overall, the WVUCI addressed issues concerning women Veterans as well as support for how Military Sexual Trauma dilemma needs to be more clearly addressed for male and female Veterans.